Truck accident on the corner of Medical and 16th, Midrand. 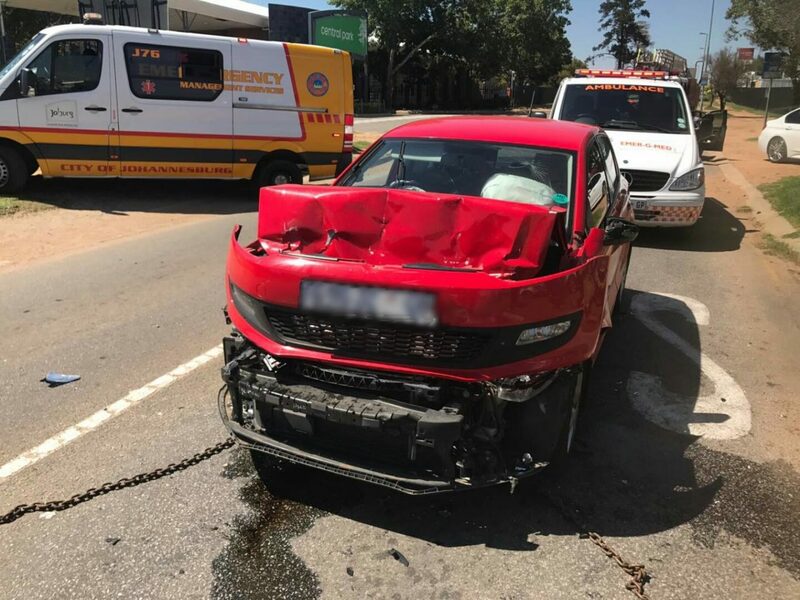 On Sunday morning just before 9am EMER-G-MED’s M06 and A02 responded to reports of a truck accident on the corner of Medical and 16th, in Midrand. It’s believed that the driver of the car failed to see that the truck had come to a stop, and rear-ended. Two adults and a child were injured in the collision, sustaining minor to moderate injuries. 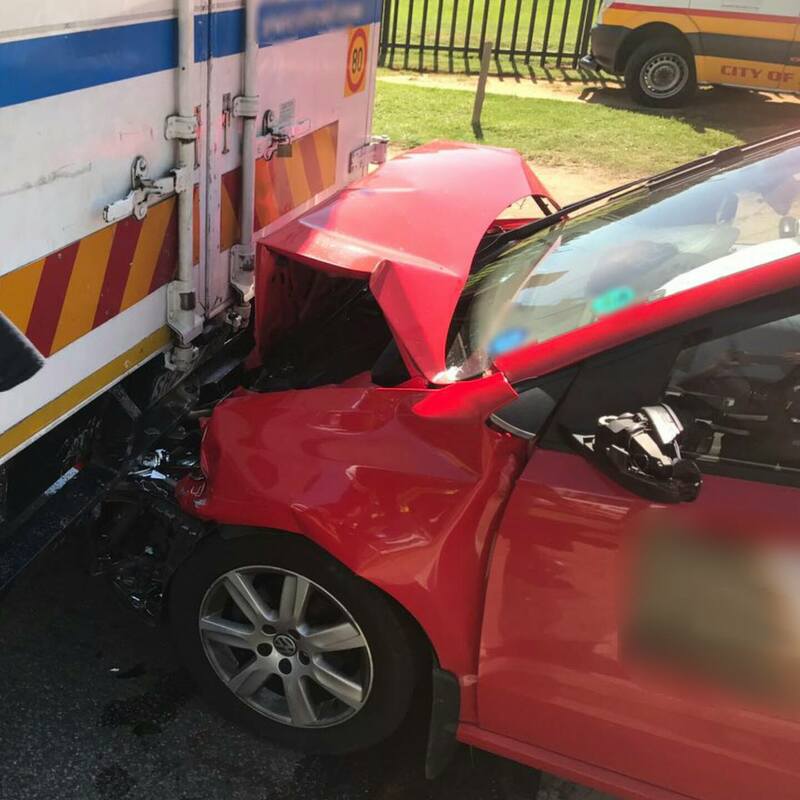 They were treated at the scene before being transported to Netcare Waterfall Hospital for further care – two by EMER-G-MED.